In 2008, Dr Nick Fisk, midwife Jenny Smith, and anaesthetist Dr Felicity Plaat, published an article in the BJOG entitled, “The Natural Caesarean: a woman centred technique”. Ten years on, they explain more about the natural caesarean, and explore what the future may hold for this pioneering approach. A natural caesarean section (1) is a modification of operative abdominal delivery that puts the mother and her partner at centre stage. 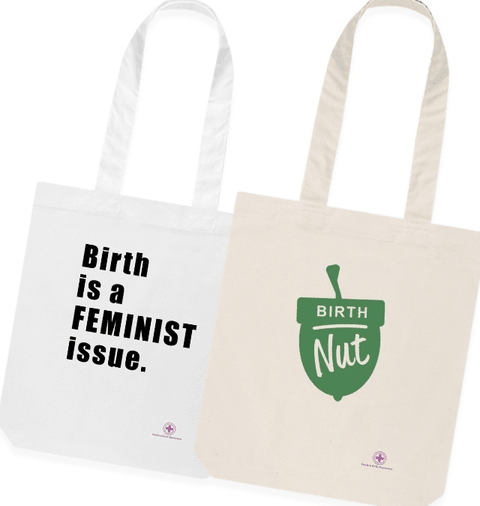 The aim is to improve the birth experience for parents, incorporate elements shown to be beneficial to mother and baby during vaginal birth, and normalise as far as practicable the most unnatural birth of all, that of caesarean section. 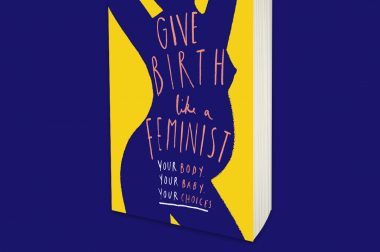 The word natural was coined well over a decade ago, out of recognition that a lot of effort had gone into making vaginal delivery a woman/partner centred experience, but virtually none for those needing to undergo abdominal delivery. The development of the “natural caesarean” has been challenging and the results remarkable. 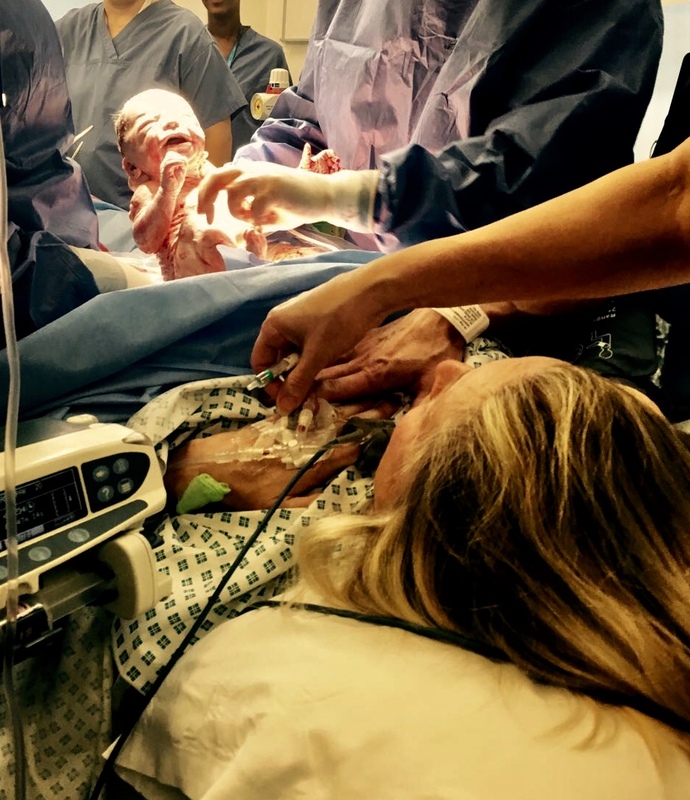 From initial scepticism – if not hostility – the concept of what many now call the ‘family centred’ caesarean has been embraced both across the UK and beyond. Following initial media coverage, the Jentle Childbirth Foundation in 2009 posted a film, ‘the natural caesarean-a woman centred technique’, of a mother with her partner undergoing a natural caesarean. This caused a stir of interest with well over 500,000 views in a short space of time. 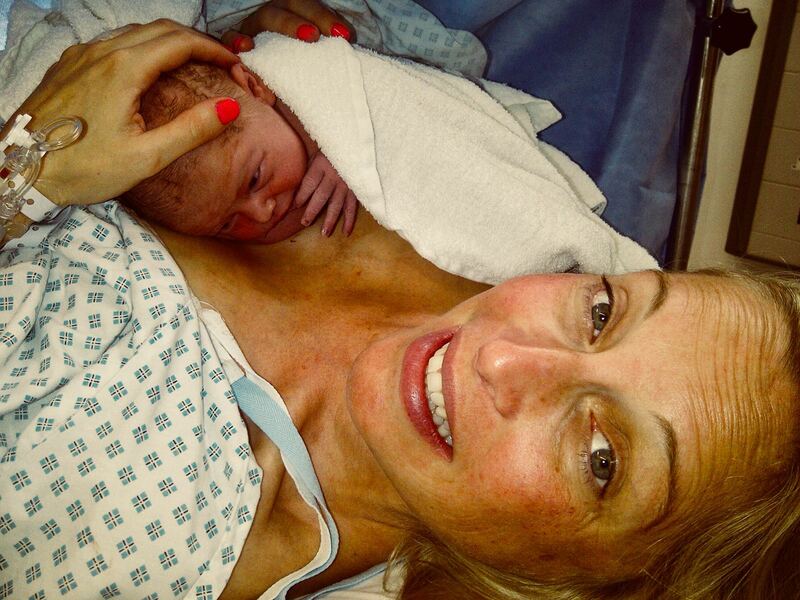 What happens at a natural caesarean? Prior to surgery the woman and her partner are encouraged to watch the natural caesarean video and discuss their natural caesarean birth plan with the clinical team. Aspects for discussion include background music, and reduced ceiling lighting in the operating theatre. The process of delivery is described. This involves “walking the baby out” (slow delivery of baby through a combination of the baby’s efforts, uterine contractions and gentle support by the surgeon), followed by delayed cord clamping, immediate skin to skin contact between mother and baby, and offering the partner the chance to shorten or trim the cord. On the day of surgery, the woman can bring her own pillow and is asked to pick an easily opened top from her own wardrobe to be worn after the epidural/spinal is in place. The usual surgical safety and infection control protocols are followed. At the start of the procedure a surgical drape occludes the mothers view. Once the baby’s head is born, the drape is removed or lowered and the head of the theatre table elevated so the couple can watch the birth. In some centres a see-through drape is used, allowing the couple to watch as much or as little as they wish, (in fact the woman’s view is limited by her position – lying on her back with the table tilted). 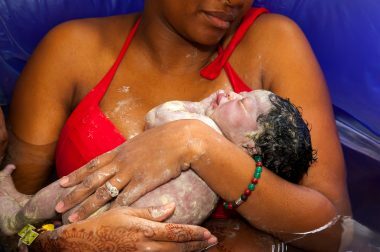 The midwife observes the baby during the birth and if baby healthy and well midwife will momentarily hold baby and place directly skin to skin on mothers chest for remainder of surgery. The cord can be shortened and the usual baby checks, applying labels, and administration of vitamin K can be done whilst the baby lies on its mother’s chest. The baby can be weighed later whilst the woman is being transferred to a recovery bed at the conclusion of the surgery. Most criticism has concentrated on the name for the technique. The term ‘natural caesarean’ has been called an oxymoron, amidst concern that it might increase demand by women for operative births. This has proven to be unfounded. 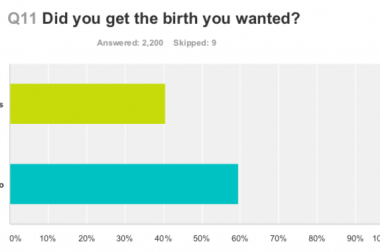 We believe the debate generated by the name to be positive as it demands that we ask why we should not try to optimize the birth experience for women having caesarean section if putting women at the centre of care is the aim. Is the natural caesarean safe? Since publication of our paper there have been no reports of complications associated with the technique. In fact, a recent study from Germany found improved breastfeeding rates, and significantly better patient experience compared to the traditional technique, with no increase in complications (2). What is the way forward for the natural caesarean? The natural caesarean could be used to do the same for women undergoing operative birth. If possible the pre-op team should be the same as operating team there the following day, to maintain continuity of carers. Natural caesarean lends itself to normalising post -operative recovery, with discharge within 24-48 hours. 3. Studying methods to further widen parental involvement. Already some units have allowed the mother to deliver the baby from her own abdomen: the woman puts on sterile gloves and helps support her baby as it emerges. Rigorous research is required to determine if such innovations are safe and feasible. 1. Compare the acceptability of viewing emergence and delivery via a mirror versus direct viewing. 2. Evaluate the effect on the infant of compression of the head during birth and baby respiration. More data is required to establish the safety and feasibility of this technique in the variety of settings it is now being practiced. Nevertheless, the natural Caesarean represents a cost neutral innovation that can greatly improve the experience for mother and partner. We believe it would be unethical if its development and use was stifled by opinions about desirable modes of delivery. 1) Smith J, Plaat F, Fisk N. The natural caesarean: a woman-centred technique. BJOG 2008; 115:1037–1042. 3) Queenan J. Academy of Breastfeeding Medicine Founder’s Lecture 2010: Breastfeeding: An Obstetrician’s View. Breastfeeding Medicine. 2011;6(1):7-14. Felicity Plaat is a consultant anaesthetist at Queen Charlotte’s & Hammersmith Hospitals. She is one of the editors of the Royal College of Anaesthetists’ Guidelines for the Provision of obstetric anaesthesia services. 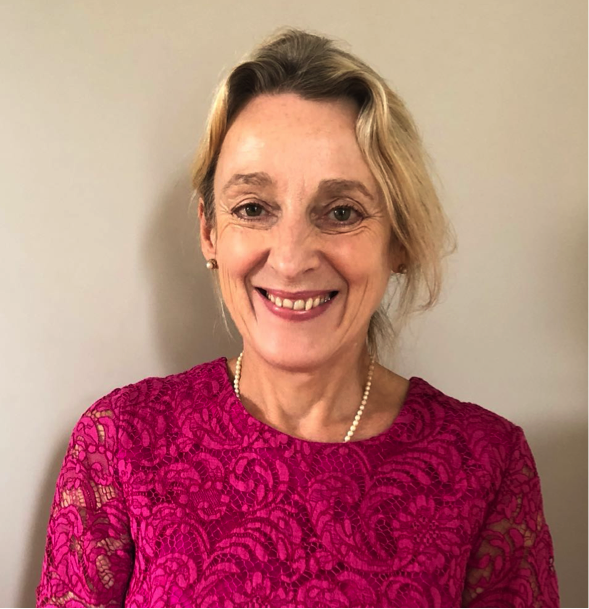 She also represents obstetric anaesthesia at the National Institute of Aacdemic Anaesthesia, the Global Health project at the Royal College of Obstetricians and Gynaecologists and the MOET Working group. She teaches emergency obstetric care on multidisciplinary courses in the UK & abroad especially in resource poor and conflict zones. Current interests include managing major trauma in pregnancy and improving efficacy of regional analgesia for labour. Jenny Smith, a clinical midwife for over 34 years, passionately believes in a “family centred approach” to maternity care, giving as much “normality” as possible to all mothers regardless of how their babies are born. Jenny is founder of the “Jentle Childbirth Foundation” established in 2008 which has funded “home from home” rooms on mainstream labour ward and three films on you tube (see below). She believes that in the future maternity units need to radically change in terms of building architecture and infrastructure to improve the birthing space for everyone “the families” and the “professional families” that provide care. In 2017, she established birthcontinua.com an antenatal education course for parents. 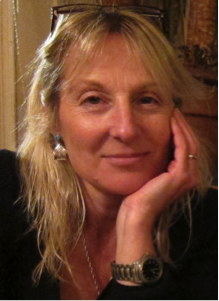 Jenny has received awards for her work and has lectured widely in UK and abroad. Jenny and Felicity would like to acknowledge the huge contribution and support from their co-author Prof Nicholas Fisk with “natural caesarean” from beginning to present time. 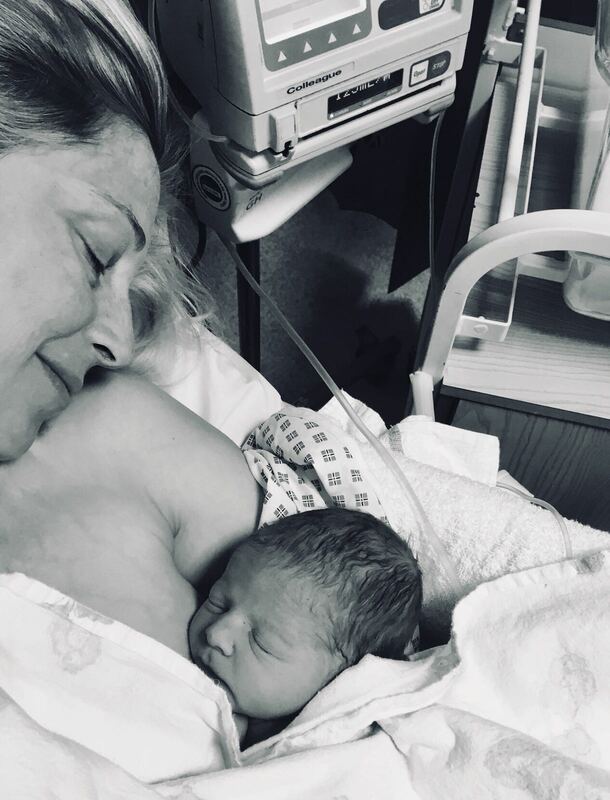 It is because of his inspiring support that we as a team of obstetrician, anaesthetist and midwife have managed together to improve the caesarean experience for so many mothers, partners and families.